The stable PPA is indeed no longer being maintained. on any sort of production machine (it can and will break at any time). 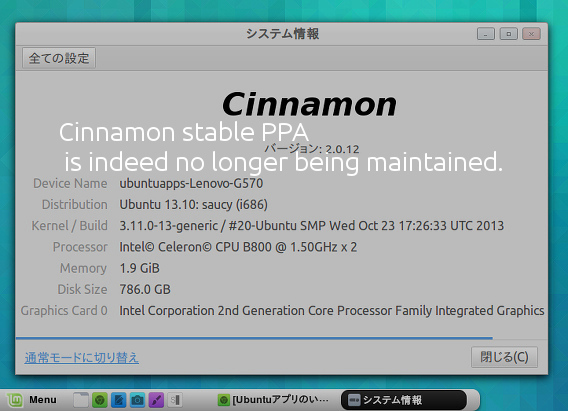 apart from switching to a distribution that does support Cinnamon. someone to (finally) step up on Ubuntu's side to provide proper packages to its users. As Ubuntu users we should all thank Gwendal Le Bihan for such hard work.